AMG VP May Gayle Mengert Appointed to Second Term on Guilford College Board of Visitors | Company Newsroom of Association Management Group, Inc.
June 29, 2016	(Press Release) - May Gayle Mengert, Vice President and co-founder of Association Management Group (AMG), one of the Carolinas' largest professional homeowner association managers with five offices in North and South Carolina, has recently been appointed to a second two-year term on the Board of Visitors of Guilford College, her Greensboro liberal arts alma mater. "Guilford College is a wonderful school with a lot to offer and a proud tradition of giving back to the community," Mengert said. "I was an academic scholarship student in the Education program. This is my way to give back to the school that gave so much to me." 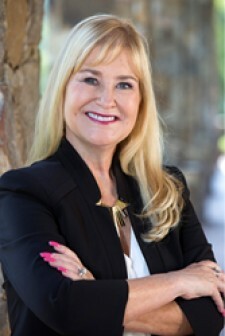 In her role as a leadership advisor, Mengert will continue to support the board's mission of engaging the community; serving as a goodwill ambassador to the public; promoting educational projects and activities that unite business, educational and community leaders; and helping the College accomplish its long-term objectives; all while enhancing the skills, knowledge and values that students need to succeed in the 21st century. "Guildford College is a lot like AMG," she continued. "We're both in the community-building business. My job at AMG is to get to know the HOAs we manage and to support the volunteer leaders with the latest technologies and services to help them with the day-to-day running of their community, and of course, exceptional customer service. That's also my job as a volunteer on the Guilford College Board of Visitors: to get to know our community-both within the college and in the wider Greensboro area-and support everyone's efforts to connect in a meaningful and rewarding way, and create a positive future." An accredited Association Management Specialist (AMS), Mengert's areas of expertise are community management, consultation with client boards of directors and supervision of AMG's customer service staff and managers. Her extensive experience led to her selection by the Community Associations Institute (CAI) to be one of the regional coordinators for the Triad Area. She has also completed the rigorous Community Management courses in CAI's Professional Management Development Program. She is a former volunteer with Lutheran Family Services, the Junior League and the Silent Witness Initiative. She co-chaired this year's early June PTI 5K 10K on the Runway race to end hunger in the Triad, and is currently part of a team that frequently flies in deliveries of bedding, clothes, toys and water system parts and supplies to a Cap Haitien orphanage in Haiti, where she enjoys spending time with the children.